Build your own garden into paradise by hiring our qualified gardeners. 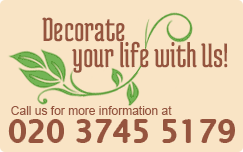 We are a professional gardening company, located in London. Our gardening services are the most affordable way to transform your yard into relaxation area in the middle of civilization. We offer highest quality services available all across London. Our team is comprised of multi-skilled professionals who work fast and efficiently. They are available both during the week and on weekends, so feel free to call us anytime you need. 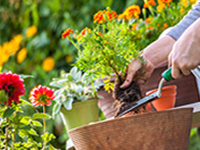 Save your time and money by choosing our gardening services! 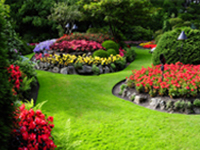 Here you can find wide variety of gardening services provided by Gardeners Mates – London. 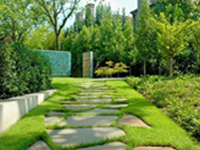 Our company is an expert in the provision of landscaping and garden design as well as many other gardening services. 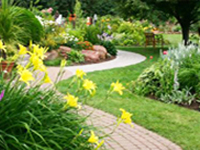 Our company offers excellent garden cleaning services in London. Book with us now and we will clean all the mess for you. Our skilled gardeners are available seven days a week, well-prepared to provide you with the most appropriate lawn mowing for your individual needs. When it comes to hedge trimming, special equipment and good knowledge are needed. We are here to provide you with the best hedge trimming services in London. Our turf laying services are available in London every day from Monday to Sunday at a very competitive price. Call us and order them to make your outdoor area nice and attractive. You can depend on us for the control and effective removing of all kinds of persistent weeds. Do not hesitate to call our customer care team. Gardeners Mates are here for you 7 days a week. Copyright © 2014-2019 Gardeners Mates London.